A sprawling Texas family epic set in the first half of the 20th Century, Giant tackles a myriad of social issues but suffers from a meandering second half. Jordan “Bick” Benedict Jr. (Rock Hudson) is a wealthy Texas cattle rancher, and an owner of an enormous acreage. He travels to Maryland to buy War Winds, an expensive horse belonging to the Lynnton family. Bick not only buys War Winds, but he also falls in love and marries the Lynntons’ daughter Leslie (Elizabeth Taylor). Upon returning to Texas, Leslie immediately clashes with Bick’s unmarried sister Luz (Mercedes McCambridge), who runs the Benedict household and is threatened by Leslie’s presence. Luz dies after being thrown by War Winds. 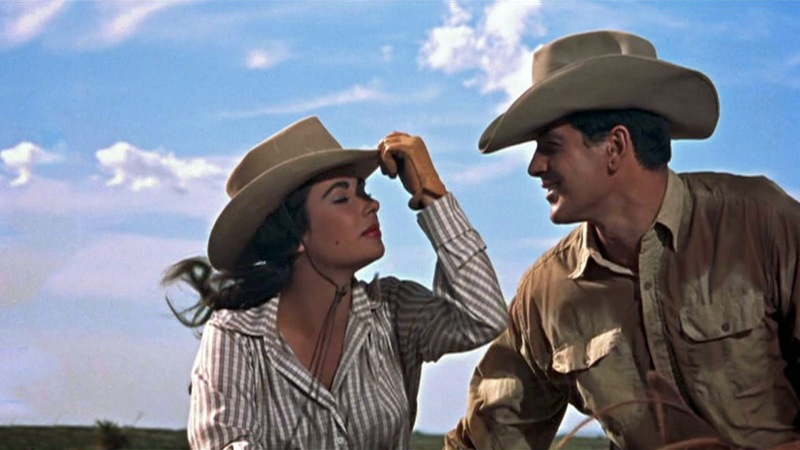 In her inheritance she leaves a small parcel of land to Jett Rink (James Dean), a loner ranch hand who maintains a tense relationship with Bick. Jett develops a crush on Leslie, and refuses to sell his newly inherited property despite a seemingly generous offer from Bick. Leslie proves herself to be tough, independent, and outspoken, and forces Bick to confront sexism and racism issues in his social circle. Leslie shows unusual compassion to Mexican peasants living in a nearby village, and displays disgust when Bick attempts to exclude her from business conversations. Meanwhile, Jett strikes oil on his land, and starts to build enormous wealth. Despite some tough times, the marriage between Bick and Leslie endures; they raise three children, and have to deal with the trials of parenting and unmet expectations as the oil boom brings unimagined riches and World War Two erupts. Based on the Edna Ferber book, the first half of Giant is a compelling story of the sophisticated but headstrong Leslie carving out space for herself in the new and strange world of rural Texas. The narrative generates a steady current of topical issues, including attitudinal differences towards the hired help, racial sensitivities, and the status of women. Hudson, Taylor, McCambridge and Dean sparkle as they challenge the prevailing limits, Taylor reveling in the role of Leslie as a change catalyst, upsetting a status quo that already featured simmering and unresolved issues swirling around Jett’s mysterious charisma. Director George Stevens explores these themes against a backdrop of the wide-open plains of Texas. This is country where the personalities have to be big to match the endless terrain. The film is filled with impressive and sometimes breathtaking widescreen shots that convey the scale of both the expansive outdoors and the lavish indoors, and Stevens then adds the vertical element as an army of oil derricks sprouts out of the earth and reaches for the sky, pumping black gold. There is enough drama for a complete film in the story of Bick and Leslie meeting and establishing their life together. But Giant is an ambitious, 201 minute effort, and the second half inevitably starts to drag. Bick and Leslie's kids grow up and introduce a new dynamic, and the film starts to stutter from one bland familial conflict to another, rehashing themes already chewed on in the first 100 minutes. 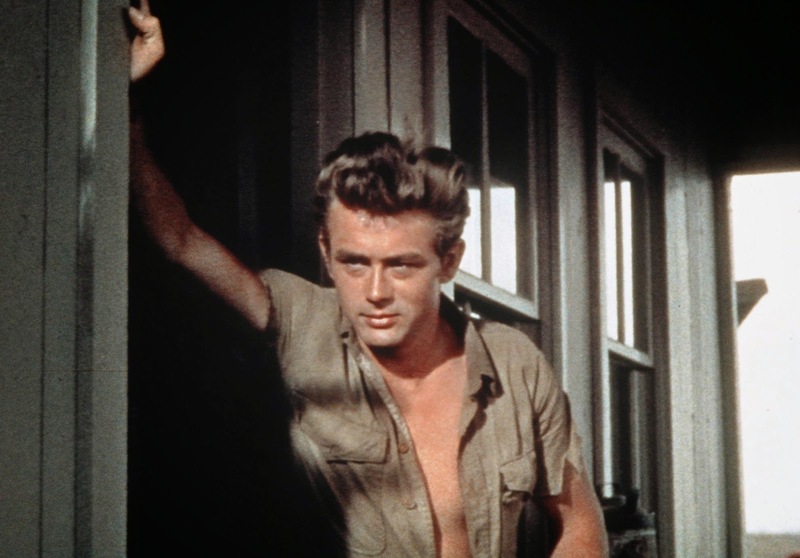 Jett Rink evolves into a surly oil tycoon, providing James Dean, in his final film role, with the opportunity to indulge in the worst excesses of method mumbling. Giant also suffers from some simply awful makeup effects, when it comes to the aging of Bick, Leslie, and Jett. Hudson, Taylor, and Dean are provided with ridiculous mops of silver blue hair to denote middle age, but otherwise appear to suffer no wrinkles, weight gain or change in posture. The effect is amateurish in the extreme, and becomes an unfortunate distraction in the film’s latter stages. The large cast helps to maintain interest. Carroll Baker does her best to enliven the second generation as Luz Benedict II, the daughter of Bick and Leslie. Jett’s unsavoury pursuit of the younger Luz is the most interesting sub-plot in the latter stages, as he tries to fill the void of the friendship he had with the older Luz and his unrequited love for her mother Leslie. Dennis Hopper, Sal Mineo and Rod Taylor also contribute small supporting roles. Giant boasts a mammoth scale, and although the achievement does not fully match the intent, the result is impressively grand in scope and ambition.